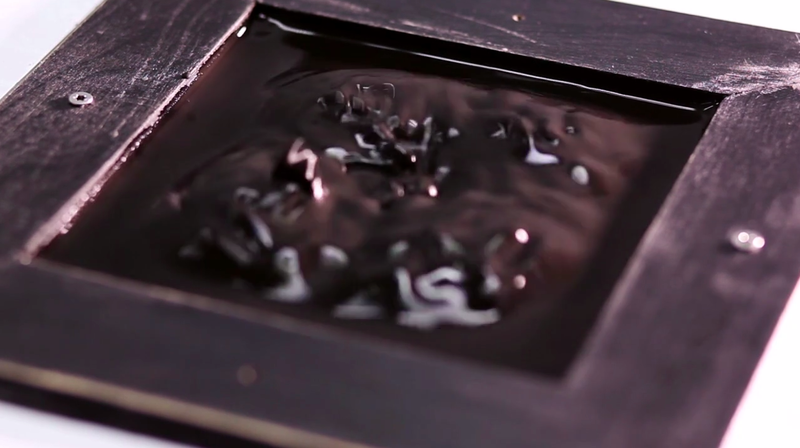 .fluid – A reactive surface from Hannes Kalk on Vimeo. – .fluid is a processing and arduino project that manipulates non newtonian fluid. 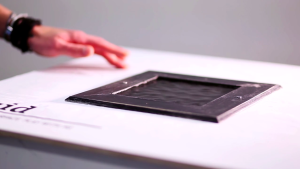 This installation uses non-newtonian fluid, an arduino board, a speaker and processing to allow surface to change from liquid to solid, from plain to three-dimensional symmetric patterns. -.fluid is created by Hannes Jung during the two week project “Talk to me – Form follows mood” at the KISD (Köln Interntional School of Design). – I chose this project because I thought it was interesting how something like processing can be used and visualized without a screen. Also by using things that already physically exist and incorporating it with technology to open doors to whole new possibilities. 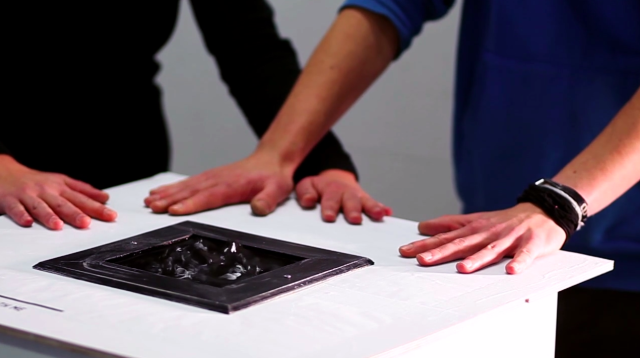 This project explores interaction and the ability to change surfaces. This simple installation introduces the question of surfaces interacting with humans. It is an example of taking a simple question and visualizing it so that people can imagine the posibilities.